BUSINESS SOFTWARE by definition is an application or a system of tools to help businesses support, improve and automate their processes. In 2019, there are numerous software providers from single-feature tools to comprehensive enterprise solutions. It is important to keep in mind that any business management software solution should make your work more efficient, not create extra tasks. Unfortunately, 74% of employees say they spend up to an hour a day on data entry and searching for information. That’s why you should be extremely attentive and do proper research when selecting the best software to support your business. Ideally, business management software will help you manage all your core business processes in one system. Based on your needs and preferences, you could integrate some additional apps into that core system. As you can see, there are various functionalities you might need. How to put together a fully integrated system, which pulls and pushes your data and enables you to have complete control over your business with only a few clicks? The answer is – you don’t have to do it by yourself, choose an end-to-end software solution. To make the selection smoother and give you a direction, we have reviewed and listed the best business management software on the market. 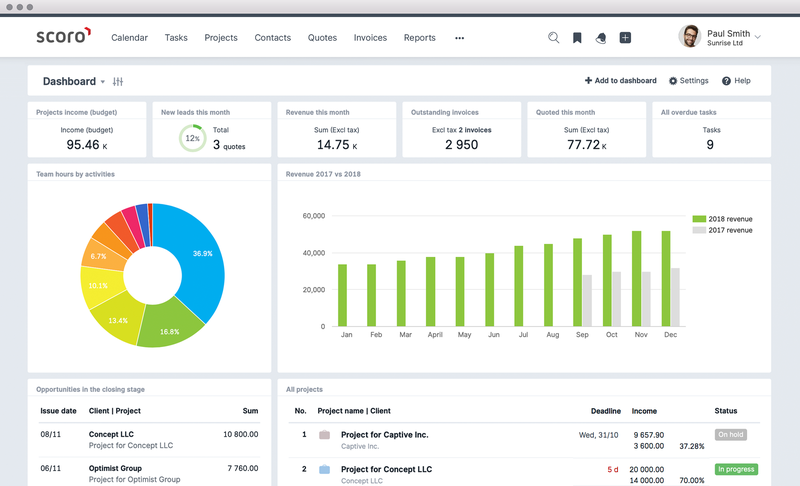 Scoro is a powerful business management solution that combines all the features you might need to manage your company: projects & tasks, contact management, quotes, team collaboration, billing, and reporting. What’s special about this tool: Scoro helps to streamline your entire work progress, so you don’t need to use different tools for every task. 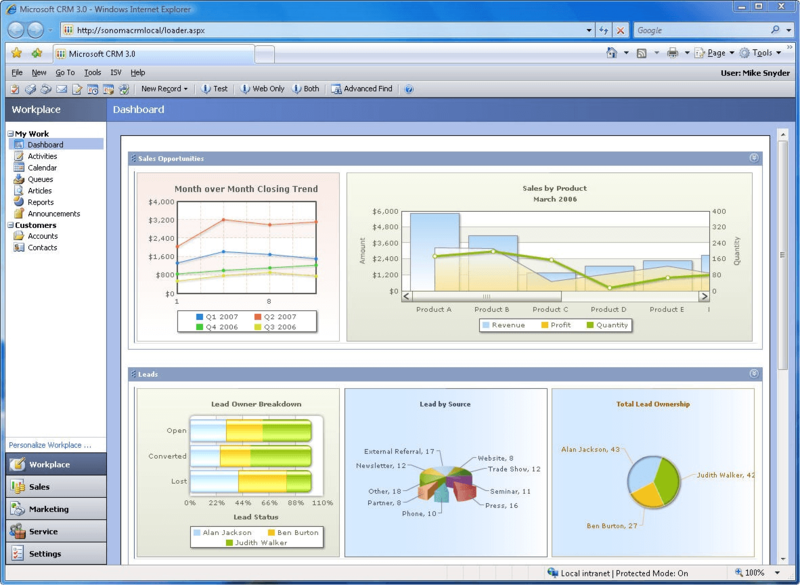 Scoro also has the most advanced business intelligence features – detailed reporting and custom dashboards. StudioCloud is an all-in-one solution that gives you all the features you need to successfully manage your business anytime, anywhere. Create pipelines, deadlines, and tasks for projects, orders, etc. Send automated, personalised, text and email reminders, payment requests, etc. What’s special about this tool: Are you a one-man band? Then this free software is for you! StudioCloud provides mobility by syncing all of your data between the cloud, your desktop, and all of your internet enabled devices. All the tools you need to create, collaborate, and communicate with your teams, in one integrated suite of apps — Zoho One. What’s special about this tool: You can add and integrate 37 of Zoho applications such as CRM, Mail, Finance, Creator, Books, Recruit, etc. to manage almost every aspect of your business in one system. Check out this Zoho Alternative and 21 more best Zoho Alternatives for business management! Odoo is a suite of open source business apps that cover all your company needs: CRM, eCommerce, accounting, inventory, the point of sale, project management, etc. 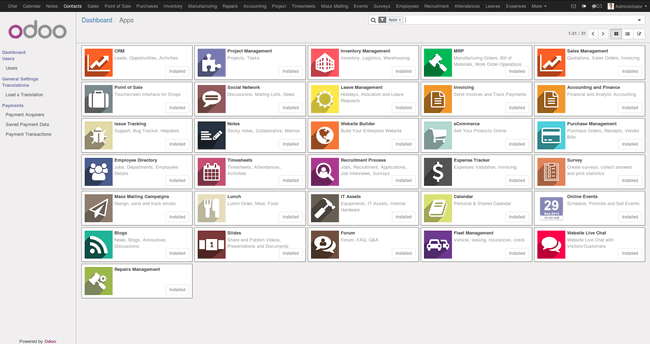 What’s interesting about this tool: Odoo focuses mainly on CRM and ERP functionalities. It also has a large application market due to their open source model. 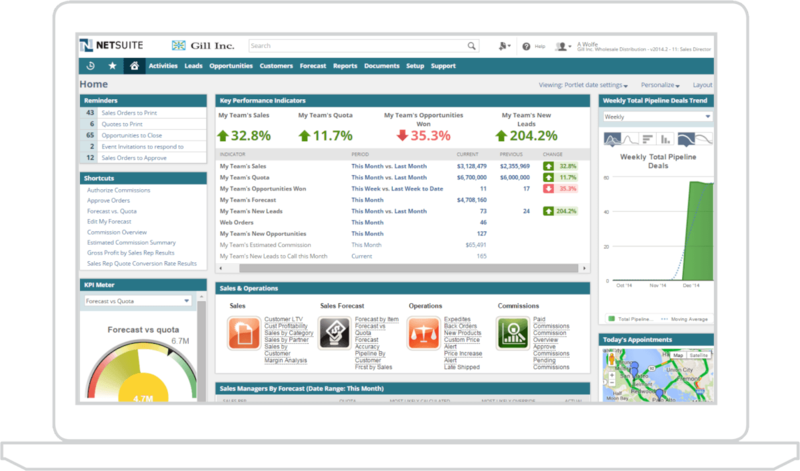 NetSuite is an unified business management suite, providing various tools for ERP, Financials, CRM, HR, eCommerce. 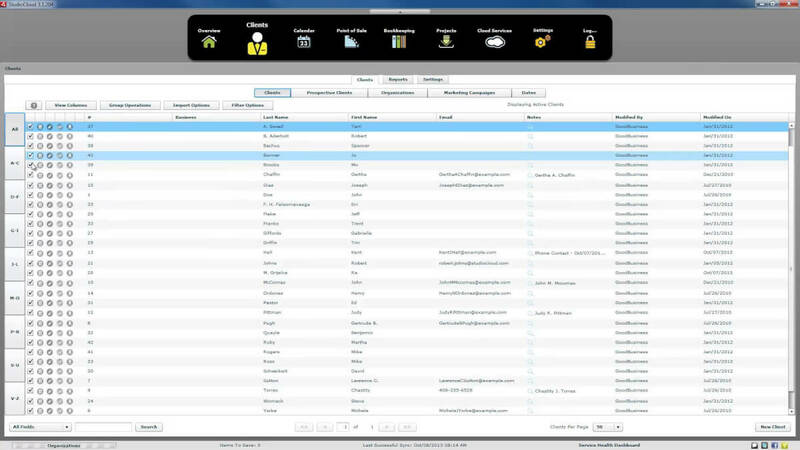 What’s interesting about this tool: NetSuite offers various toolsets –NetSuite CRM, NetSuite OpenAir, NetSuite Global Business Management, NetSuite PSA etc. Be ready to take some time to filter out which NetSuite solution could be the best for you. 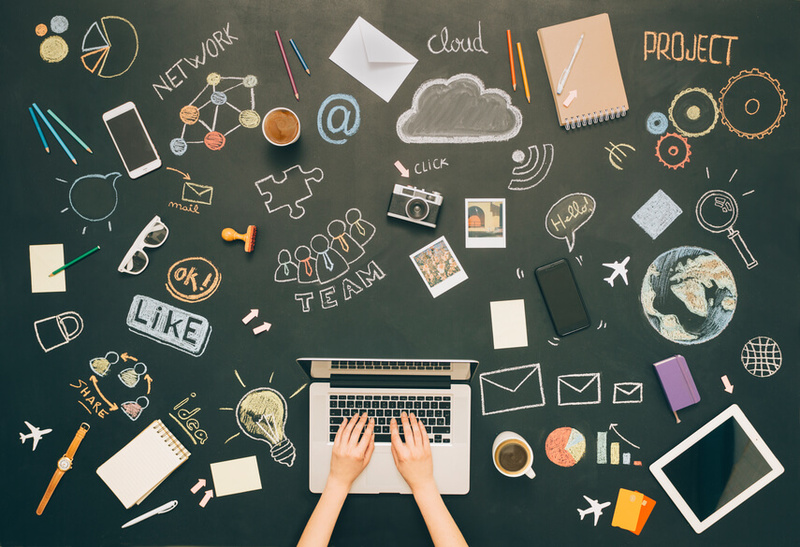 Bitrix24 offers a complete suite of social collaboration, communication and management tools for your team. What’s special about this tool: Bitrix24 has a large set of features, from traditional project management to integrated telephone and HR system, or internal email. Check out this Bitrix24 Alternative! 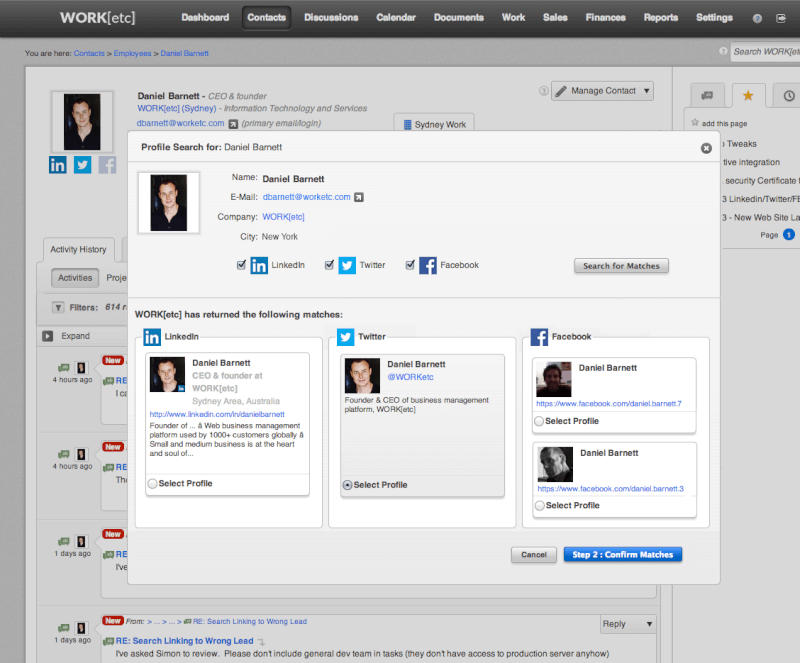 WORKetc is a web-based platform for CRM, project management and collaboration. What’s special about this tool: By integrating support cases directly inside of all areas of WORKetc, you can ensure the customer is always looked after. Your sales team is talking with your customer support team, and project issues can be assigned to the right person. Check out this WORKetc alternative! 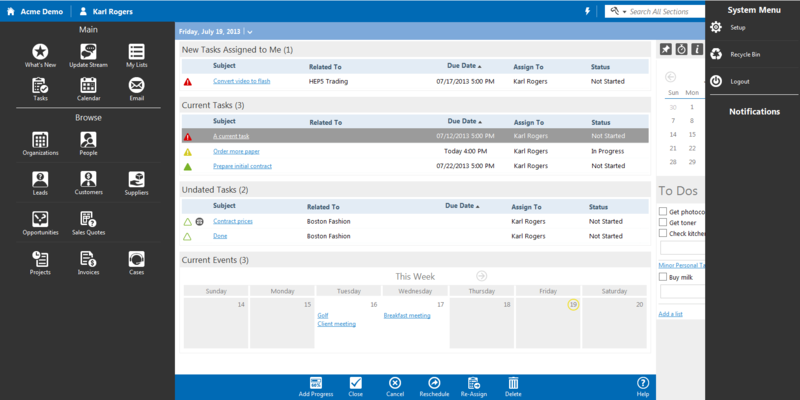 OneSoft Connect promotes themselves as a software for daily issues. It helps you manage your customers, team and projects in one solution. 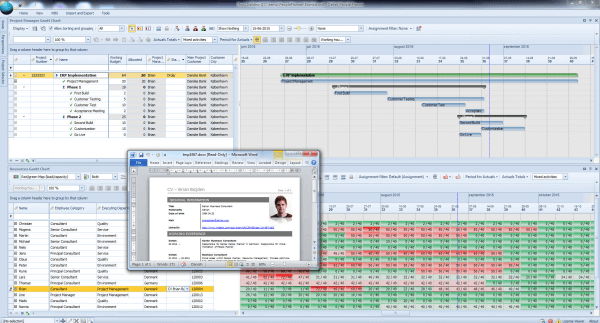 What’s special about this tool: OneSoft is a better fit for small teams than large enterprises. They also offer a solution for the Public Sector. 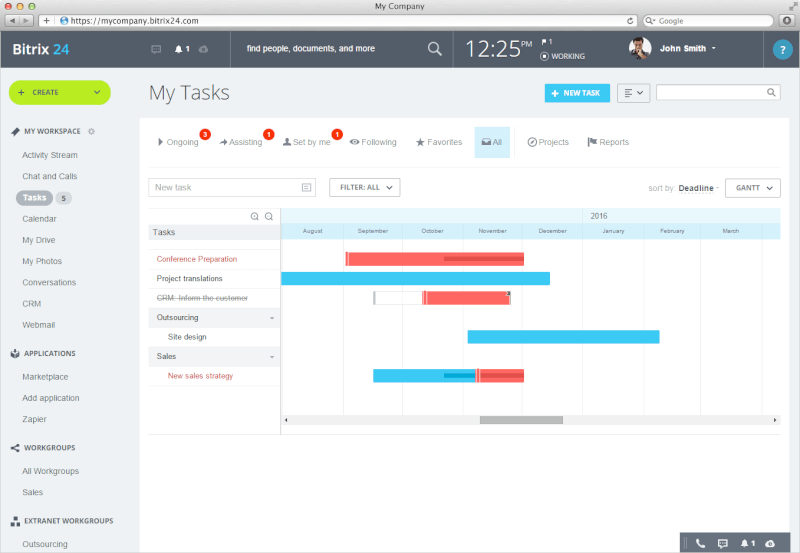 BlueCamroo aims to integrate CRM features with project management. 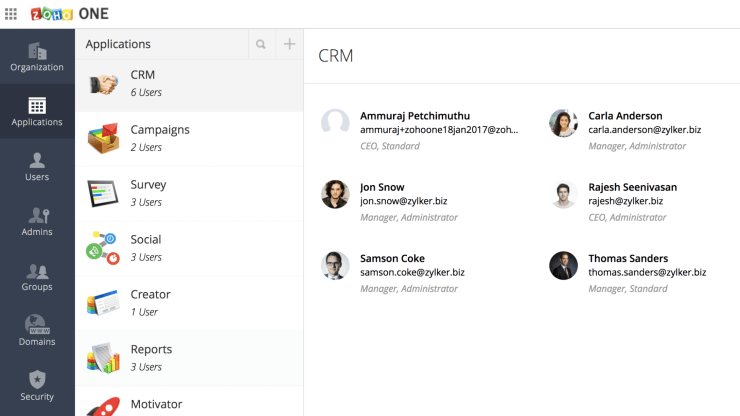 It helps you manage your contacts, sales & projects in one solution. What’s special about this tool: BlueCamroo provides a lot of useful tools for a small business. An interesting feature is the Website Builder for websites, landing pages, microsites and even eCommerce sites. Maconomy is an integrated project centric ERP solution designed to support the entire project lifecycle of professional service companies. What’s special about this tool: Founded in 1984, Deltek has a long history in software solutions. Maconomy is a robust tool while said to have maintained the ease to use. Frank is dedicated to be a wholesome management platform for architecure and engineering studios. What’s special about this tool: Frank is very niche-oriented software for managing complex architecture and engineering projects. The features to highlight are: Vendor Qualifications, Cost Control, Project Phases and Contractual Deliverables. Microsoft Dynamics GP is a complete enterprise resource planning (ERP) software with a wide range of features from operations management and financial management to human resource management and manufacturing. 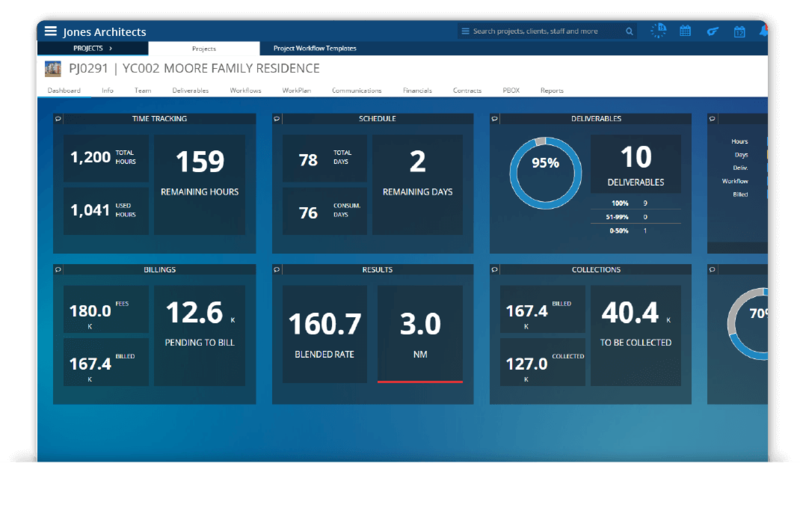 What’s special about this tool: Microsoft Dynamics also has a new fresher solution Dynamics 365, which has a subscription-based licensing. Dynamics DP provides a lot more flexibility, but do not expect for cutting-edge features. Oracle is a comprehensive suite of connected cloud applications which deliver functionality, analytics, security, mobile capabilities, and social collaboration. Oracle has various products with different focuses. What’s special about this tool: Oracle is the type of a solution provider who wants to have it all. 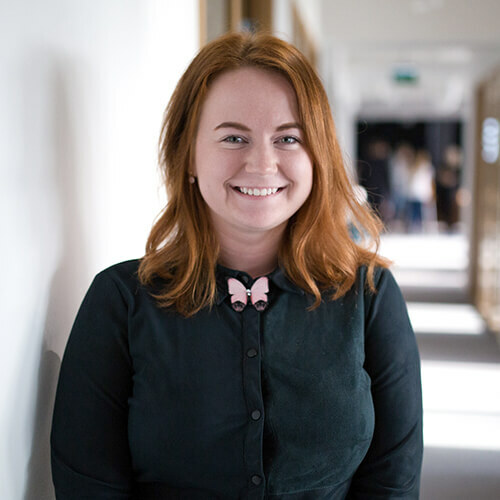 It might be overwhelming and confusing to differentiate all the products and features Oracle provides, but you can be sure you’ll finally find everything your business needs. Which business management solutions are you using to support your business? Share your experience in the comment section.